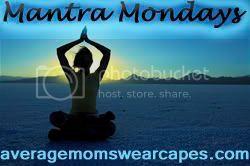 Average Moms Wear Capes: Ryder's Sunglasses: A Review (Giveaway!) and Guest-Post by my Husband! It's review day!! And it truly is a history day in the O'House, today is the first post ever to make it on my blog by my husband, the guest non-blogger that he is! Hooray! The first thing I noticed when I picked up the Swerve Pro sunglasses from Ryder was how light they were and the solid construction of the frame. There are small gaps between the lenses and the frame which struck me as odd but I’ll address that later. I put the glasses on and they were quite comfortable. I put the sunglasses to the test on a 40 mile bike/ 3 mile run workout. I set out on my ride at 7am and as the sun rose ahead of me, the glasses did an excellent job of reducing the glare of the oncoming light. I was also really impressed with the clarity of detail when using these, which is indicative of high quality optics. The lenses are photochromatic which means as the light levels increase the lenses become darker which is also a plus. After riding for about an hour I discovered that the small gaps between the lenses and the frame help circulate air behind the lens which led to no fogging of the lens and helped dry up any sweat that got on the lenses. When I transitioned from the bike to the run the glasses were very stable on my head as I ran. Not too tight, the fit was just right. Bottom line, the Swerve Pro is an excellent set of sunglasses for training on the bike or the run. If you feel the need to dial in the fit, Ryders offers other models that have all of the features of the Swerve Pro with the additional benefit of adjustable nose pads and temple tips. *cue applause* I love him. He's so official, isn't he? So cute! That's my engineer, not missing any details! I love them and I am jealous. They're a little more girlie and by that I mean big, but I'm pretty sure they're still unisex and they also come with a little pouch-case-y thing too. Leave a comment about your sunglass experience and what you love. Tweet about the giveaway for a second entry. Blog about the giveaway and leave the link in the comments for a third entry. Four entries! Giveaway closes next Friday at 12 a.m. ET! I'll CHOOSE THE WINNER creatively from LAS VEGAS and announce the winner on Saturday!! The winner of the necklace from my Etsy shop, "Inspire Me, Chic" is The Doll at Shepdogg: One P, Double G! Choose your necklace and e-mail me! Christieo@averagemomswearcapes.com! Congrats! My sunglasses are broken! I prefer glasses that have the wide sides. I'd love to win! I have never run with sunglasses before because when I only wore glasses (PRE-PRK) they bounced and slipped down my face. Also I'm cheap. So I'd love to win a pair. 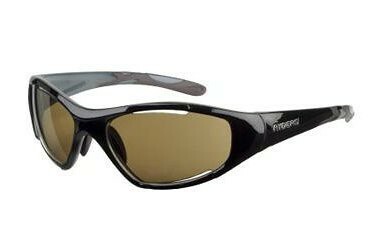 I would love to win these because I have the exact problem that your hubby talked about...the fogging up of the lenses. it happens everytime I walk/run. By the way, I loved his review. The only kind of sunglasses I have been able to wear in my whole life without getting a headache are Serengetti. They frickin' rock. I always have the fogging up issue as well. I've bought so many different pairs of sunglasses over the years trying to find a pair that wouldn't fog up. I would love to win these to give them a try! I already follow your blog using Google Reader. I have YET to find a pair of sunglasses that I really like and can wear without getting a headache, much less can exercise in. These look great and I would love to give them a try! I just have cheapie target sunglasses, but love the idea of sliproof ones! I have always just bought cheap sunglasses. My current ones never stay clean and fog up all the time. I can’t run in them because they slip off my face so I always go with out. Thanks for the review Mr. O! i paid $0.00 for both pair of sunglasses. my sport glasses are a pair of oakleys that my dad found at the park - he was working for the city and was on park cleanup duty. they were missing part of their sides and he cut 2 black tubes to make them wearable. I'm super sensitive to sunlight so I'm ALWAYS in sunglasses. But I have a tendency to lose them so I try to find the cheapest pairs I can! Oh, I'm in need of a new pair of running sunglasses...BAD! While I do love the pair I currently use (Oakley), they are over 10 years old! Eeek! But they've never fogged up or slid/bounced around, which is super important to me. :-) Definitely interested in trying a little something different.